職員很好有善. 行李留在酒店2天, 去了其他地方, 回來再住宿都沒問題. 房屋是舊式的, 但比較大. When entering the hotel lobby, the staff is polite and allows early check-in by 20 minutes. 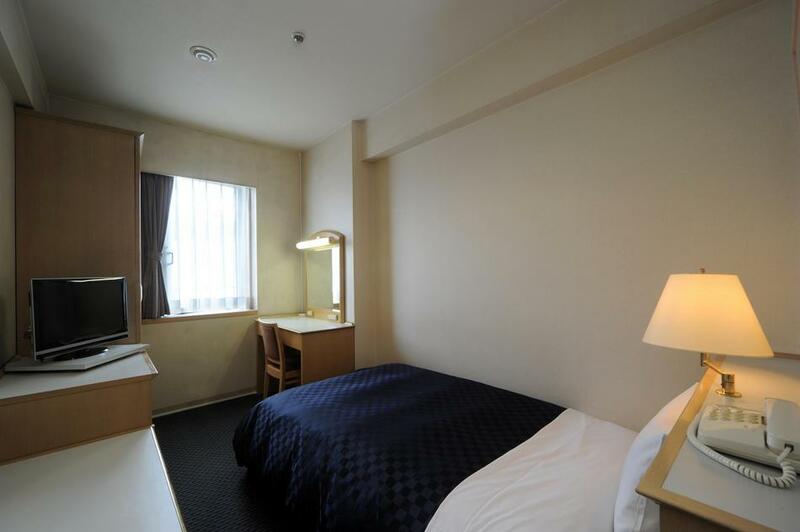 The room need some new lighting and the room space is sufficiently bigger than most standard room in Japan. Preferably, there is a safety box and a larger table to put down the luggage. This was third stay in two years at this hotel. One with good value, with great location near train station and peace memorial, shops, restaurants, etc. Primary reason for being here was to visit relatives. Meal at the hotel restaurant was very pleasant and accommodations (albeit small) were very good. We especially liked the ambience of the hotel - good customer service, quiet atmosphere, efficient staff, clean rooms. Thank you! This was our first stay at this hotel and we will certainly be back. Our room was amazing; great value for price, very spacious with a great view. The staff was very friendly and helpful especially allowing to leave our luggage at the hotel after checkout so we could enjoy some shopping and sightseeing. 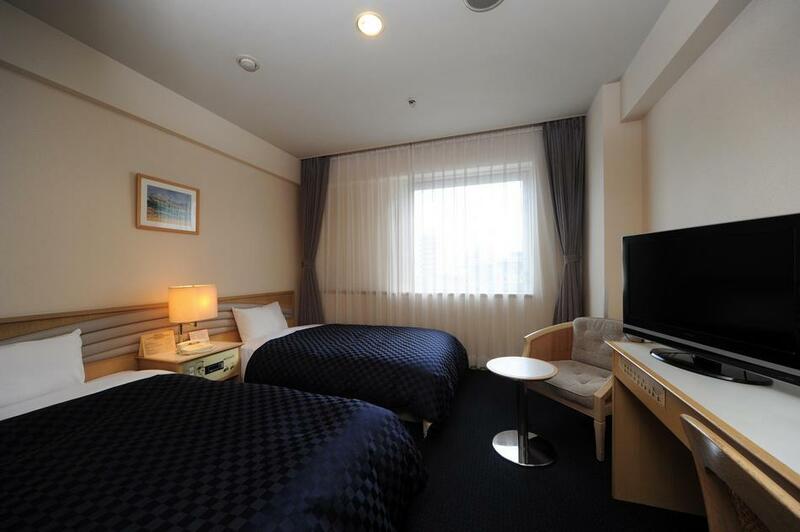 The hotel is just minutes walk from Hiroshima station. A great stay. Thank you very much. We'll see you again soon! Friendly staff; very accommodating and central location. 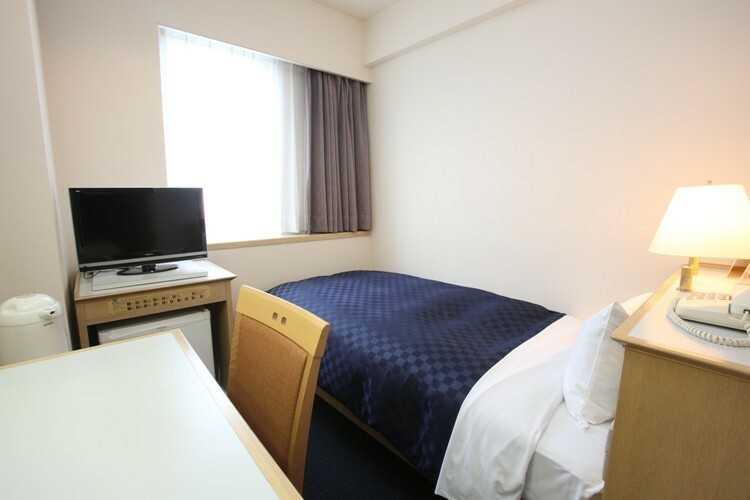 Hotel New Hiroden is within walking distance from the train station and conveniently located within the city. From here we were able to see relatives and friends and visit the Peace Memorial, Miyajima, and other places of cultural significance...All within a reasonable distance. The buses, taxis and trolley are all at the train station. Shopping is within blocks and very accessible. Friendly staff and pleasant atmosphere add to our pleasurable experience at this hotel. 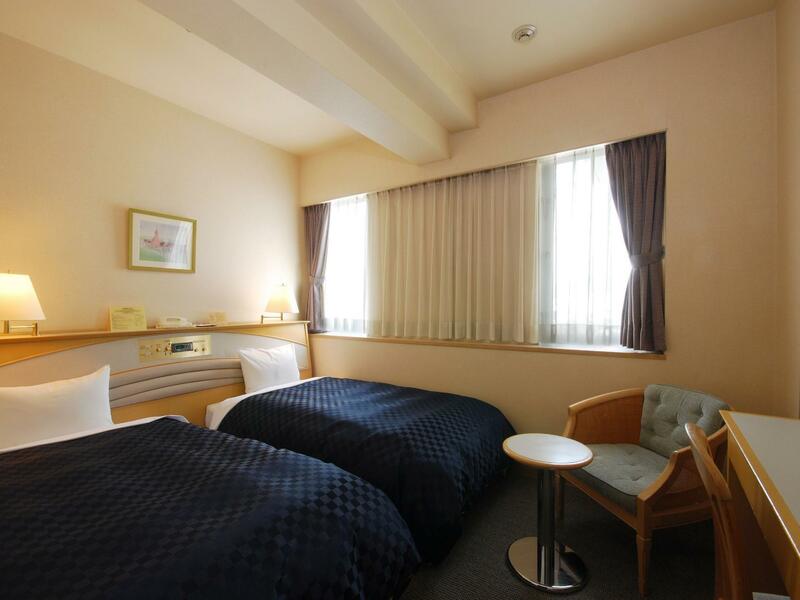 I travel to Hiroshima once a year and I always stay at the New Hiroden even though there are swankier hotels in the city. I like the homeliness of the New Hiroden as well as its great location being just a five minute walk from the Shinkansen exit of Hiroshima station. This hotel has free wi-fi but only in the lobby. It would be great if the rooms could get free wi-fi too. Nice hotel about 10 mins walk from the Hiroshima train station. Staff speak good reasonable english. We had a triple room as the double was all booked up which was good for both of us. All of the staff members were the best 3 things about this hotel. They helped me when I had a problem with check-in, the helped me twice on the lobby computer. I was pleased with my stay. The best part was the kindness and consideration of the desk staff on my arrival. I had made a mistake in my reservation, I was very foggy from jet lag, and I was embarrassed by discovering the error in front of a Japanese colleague. I wish I had noticed the name of the staff member because he was most helpful. The other great thing about the hotel was the breakfast buffet, except I couldn't eat enough to justify the price I paid. 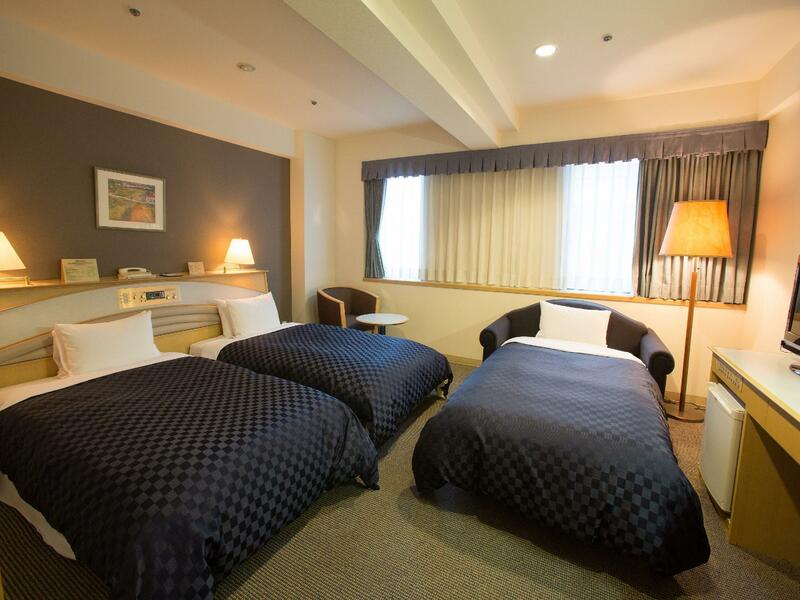 I go to Hiroshima every year and I always stay at this hotel. 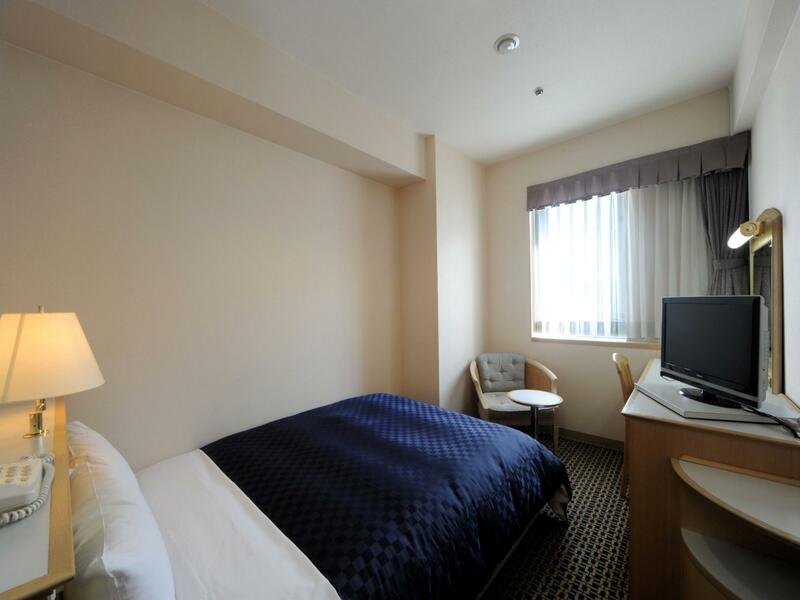 There are more expensive, more salubrious hotels in Hiroshima, but the New Hiroden is convenient, friendly and very good value. It also has very comfortable beds. Be warned however, if you are a solo traveller staying in a single room, these rooms are REALLY tiny. If you are large of stature you should definitely ask for a double or twin room.